Last week Carlos Mencia, the mouth-breathing, barely human embodiment of the word "ugh," received the worst rejection of his career, and possibly of his life. It is so wonderful. Comedian Carlos Mencia was yanked Thursday from a Mardi Gras parade's list of celebrity riders for jokes made about Hurricane Katrina. That's according to Krewe of Orpheus officials who on Wednesday announced Mencia as one of about a dozen celebrity guests slated to ride in this year's parade, which rolls through New Orleans on Feb. 23, the night before Mardi Gras. But Orpheus Captain Sonny Borey said in a statement Thursday that the club became aware of "certain remarks Mr. Carlos Mencia has made in regards to New Orleans and Hurricane Katrina." Borey said Mencia would not be riding because "our krewe is very sensitive to the feelings of our community and the way our city is viewed." —"Dr. Jake Martin of ABC's All My Children, and veteran of soaps Another World and Guiding Light, Ricky Paull Goldin"
—"The boys of MTV's Real World/Road Rules"
Ah, to be dropped by the same organization that will proudly advertise that they've snagged various and sundry unnamed male Real World/Road Rules cast members—that has to hurt Carlos Mencia. 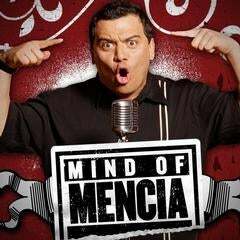 (And every time Carlos Mencia hurts an angel gets his wings.) The only way that this could be better is if they had never asked him in the first place.